Residents who appreciate theatre are destined for fun with the announcement of Gladstone’s 2019 Community Musical and the first call for auditions. 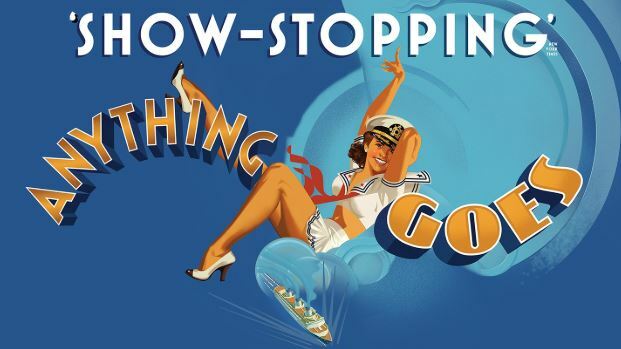 Gladstone Regional Council and the Gladstone Entertainment Convention Centre (GECC) this week announced that Anything Goes would be presented as Gladstone’s biennial community production. Gladstone Region Mayor Matt Burnett said residents aged over 16 could now audition for the 1987 Beaumont version of the multi-award-winning romantic, melodrama, based on the original Anything Goes 1934 musical production. “First auditions will be held from August 20 to 22 from 6 pm to 10 pm led by seven experienced and creative community members,” Councillor Burnett said. The production team includes Director Jeannine Butler, Musical Director Leanne Christensen, Stage Manager Josh Kearney, Vocal Coach Leanne Brooker, Dance Choreographers Sheerie Rampton and Marj Rampton and Rehearsal Pianist Sue Beardmore. Councillor Cindi Bush said five community shows had been scheduled for Anything Goes to feature on stage next year at the GECC from February 21 to 24. Cr Bush said Council was pleased to be involved with the community musical, presented by the GECC as a part of its Public Programs, to support arts and cultural development in the community. “Gladstone’s 2017 community musical, Chitty Chitty Bang Bang, was extremely successful, performed to sell-out audiences and was appreciated by residents of all ages,” Cr Bush said. “Next year, Anything Goes is expected to be just as popular, enabling Gladstone Region residents from all walks of life to share their talents with the community as cast, musicians and production crew to produce a memorable theatre production,” she said. Audiences will be swept into a magical journey joining 25 cast members for romantic fun and comedy aboard a cruise ship where anything goes. The amusing storyline will be accompanied by a live orchestra performing music and lyrics by Cole Porter to well-known songs including I Get A Kick Out Of You, All Through The Night and Anything Goes.